Get all the details about what a semester abroad in Haiti looks like with ILP. 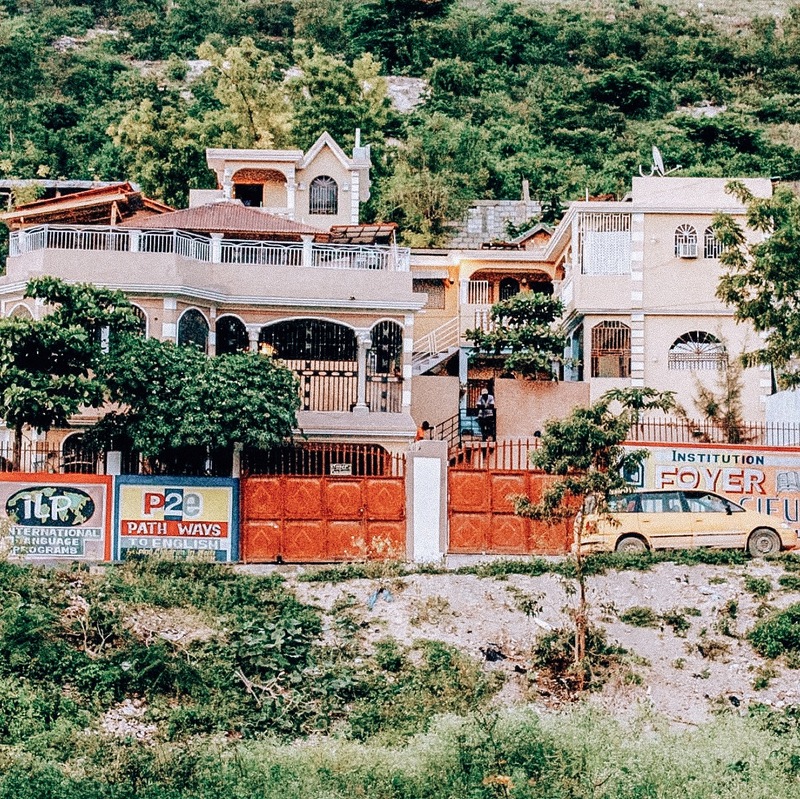 If you have any friends who've been to Haiti, it's probably because they did some sort of mission or service trip.You'll get a feel for Haiti's extreme poverty the minute you step off the plane. It isn't exactly a hot spot vacation destination like other Caribbean islands ... but that doesn't make it any less beautiful. 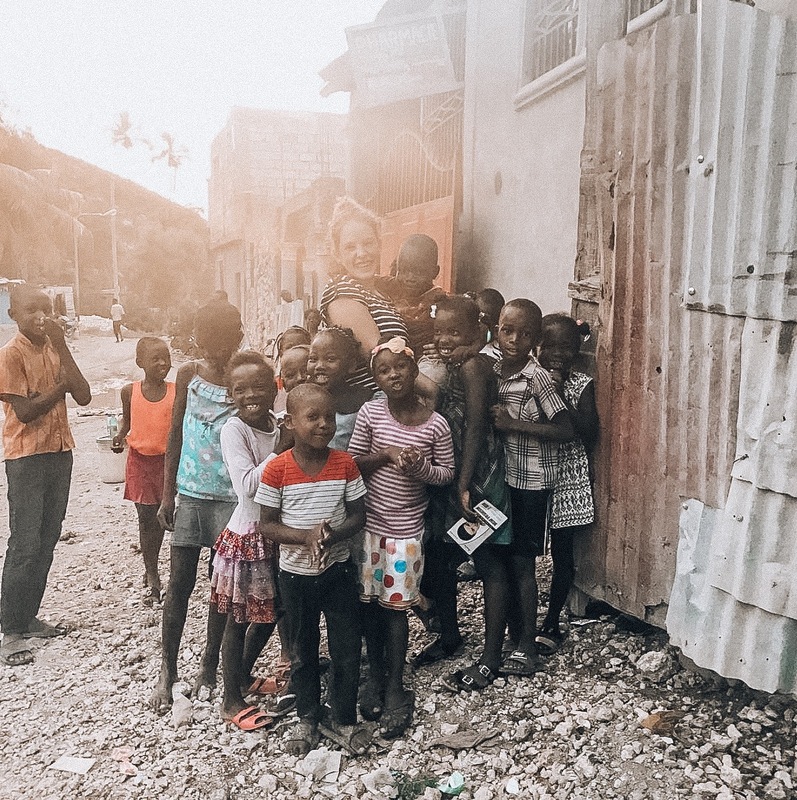 If you're interested in volunteering where you can spend time in an orphanage, help children through education and be a role model ... send in your ILP application to come to Haiti with us! Spend your days hanging out with your new "family" at the orphanage, teaching English to children in the neighborhood, and sipping on fresh coconut juice from the tree down the road. The overall experience of being an ILP volunteer is similar in every country, but each location has its own unique aspects and adventures. For example, your meals in Haiti will obviously be different than your meals in China! Things like your housing, meals, teaching times, group sizes, etc are all different depending on where you volunteer (and they can change a bit from semester to semester). Your experience may not be the same as another volunteer's ... even when you're in the same group. Wake up bright and early in time for breakfast around 7:30 AM. The cook at the orphanage, Mackylynn (you love her! ), made a pretty traditional breakfast today of some pancakes topped with fresh bananas from the market. You grab your water bottle and fill it to the brim with the filtered water the orphanage provides for you and stick it in the fridge to get it nice and cold to help you survive the hot humid weather that will be drifting in during classes this afternoon. You've got a couple of hours before morning classes start, so you Facetime your family — you're only a couple hours ahead of them in Utah (MST) so you'll catch them while they're having breakfast, too. The WiFi is cutting out because of last night's storm so you rely on your data plan (you can easily purchase on from ILP) which lets you get a call through - the connection isn't perfect but you can get by on an audio call today. You tell your family about the hike your group did yesterday, taking you up high enough to get a view of the ocean because the coast is really close.. Then you hear the orphanage kids downstairs in the open air courtyard - they're awake and ready to play. They live at the orphanage with you (you live on the top floor with the other volunteers while the orphans live on the bottom floor). There's still an hour before your first class starts but you peak over the balcony and see Wilmy, Amox, and Luckson hanging out — you can't resist but come downstairs to give them hugs and hang out for a bit. At 10 AM morning classes start and you gather all the kids to sing songs for a few minutes before you break up into smaller classes. You're teaching "Kitchen" this week so you're having the kids help you whip up some homemade frosting that you can dip bananas in. Get to know more of the kids at the orphanage before you go! It's noon which means morning classes are done and it's time for lunch — spaghetti is on the menu today. You were surprised how much they love pasta here, but it made more sense after reading the historical book you brought (to learn more about their culture) ... Haiti has a very strong French influence. After you eat, you head to your room for a little break to relax before afternoon classes. You turn your fan on to help you cool down (there's no air conditioning, which is pretty normal in Haiti) and write in your journal for a few minutes about each of the kids - you don't want to forget the little quirks you love. A little before 2:00, you start hearing laughter coming from the courtyard and you know your afternoon kids are arriving. Your afternoon classes are made up of kids who live in the neighborhood with their families. You head downstairs with your backpack full of those Kitchen ingredients from your activity this morning - crossing your fingers that it'll be a hit again. After waving goodbye to your afternoon students, there's a little bit of time before dinner is served around 4:30 or 5 PM. Today there's a feast of rice, beans, and fried plantains. Everyone's pretty excited to see some fresh mangoes for a treat! After dinner you grab the kids from the orphanage and walk across the street to the soccer field where everyone likes to come play. You hang out beside the field with the neighborhood kids fighting to sit in your lap and watch the local guys play a pretty competitive game - they don't mess around with their soccer here! You love all the things you can do with your kids after school with them. You feel a few sprinkles and quickly head back home before a heavy rainstorm starts rolling in. When it starts pouring down the kids jump up and scream - they LOVE playing in the rain so you join them out on the balcony, dancing, singing, and enjoying every minute as you get drenched. It actually feels so good after a day in the Haitian heat. Like we mentioned, the experience is different for everyone. We give you the tools to live abroad, the free time, and the meaningful purpose of service but then ultimately you're responsible for what you get out of the semester. Be adventurous! You might check out our list of things you can do in the orphanage neighborhood and then start finding more fun things to add to that list. Some volunteers in Haiti choose to attend an LDS church on Sundays. The Coordinator of the orphanage is LDS and so he takes many of the kids to church with him - you're welcome to come along if you'd like. (We've actually had an LDS apostle visit!) Some volunteers have even gone above and beyond to organize service projects outside of the orphanage. Explore the Haitian coast and other parts of the Caribbean! ILP volunteers have scheduled vacation time throughout their semester as well as every weekend off. While there are plenty of beautiful tropical areas in Haiti, it's pretty tricky to get to them. Because of the poverty here, there's not a great transportation system set up (mostly consisting horribly bumpy, dirt roads). Volunteers are still exploring some places in Haiti (we list these below) but most volunteers spend a week of their vacation time traveling over to destinations in the neighboring Dominican Republic. Have a stay-cation and enjoy the coast you're living right next to! This is our favorite beach on the Haiti coast near the orphanage! Living in Haiti for a few months gives you the time you need to really experience all the things you're looking for. We feel like the best part about this country are the locals and the friendships you make! Single females, single males, and married couples can apply to volunteer in Haiti. Saint-Marc. It's a city on the western coast of Haiti, northwest of the capital Port-au-Prince. Check out how this orphanage program got started in Saint-Marc here. The program fee to participate as a volunteer in the Humanitarian program in Haiti is $3,720. This includes your roundtrip international airfare to Haiti, housing, meals, training, and support for the entire semester. You might notice that the cost here is a bit higher than some of our other volunteer locations. That is because in Haiti it is a Humanitarian Program and your service is entirely gifted - the children you serve are receiving a free education which they would not have otherwise been able to afford. Their families and the host school are not helping to subsidize your costs like they are in our Exchange program. You can compare the 2 programs here. We also recommend budgeting around $1,500-$2,000 for any traveling and purchases you make while you live abroad as well as things you may need that the program fee doesn't cover (like a passport, health insurance, airline baggage fees, etc). Volunteers live in the upper part of the gated orphanage compound. You'll be living with your other group members, usually sharing a room with 1-2 of your fellow volunteers. A Local Coordinator who manages the orphanage program also lives on the compound, as well as the orphans of course. Your housing is separate so that you can have privacy when desired, but much of your time is typically spent with the kids. Check out more info on what it's like to live in the orphanage right here. Here's a view of the compound from the road. It's pretty spacious with plenty of outdoor spaces to hang out in. Hot and humid - pretty much all the time! You'll see lots of sun as well as tropical storms. 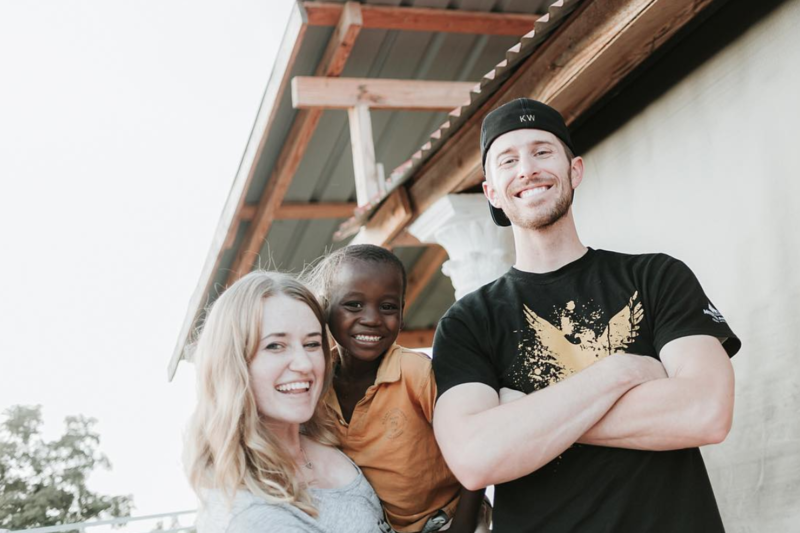 We're posting tips for Haiti volunteers frequently on our blog, like this interview from a past volunteer on what it was like living at the orphanage. Follow #ilphaiti to discover volunteer's personal accounts and follow them. We even have an Instagram account called @ilptakeovers where we ask volunteers who are in-country right now to take over and post some stories about what they're doing and put a post on the feed. 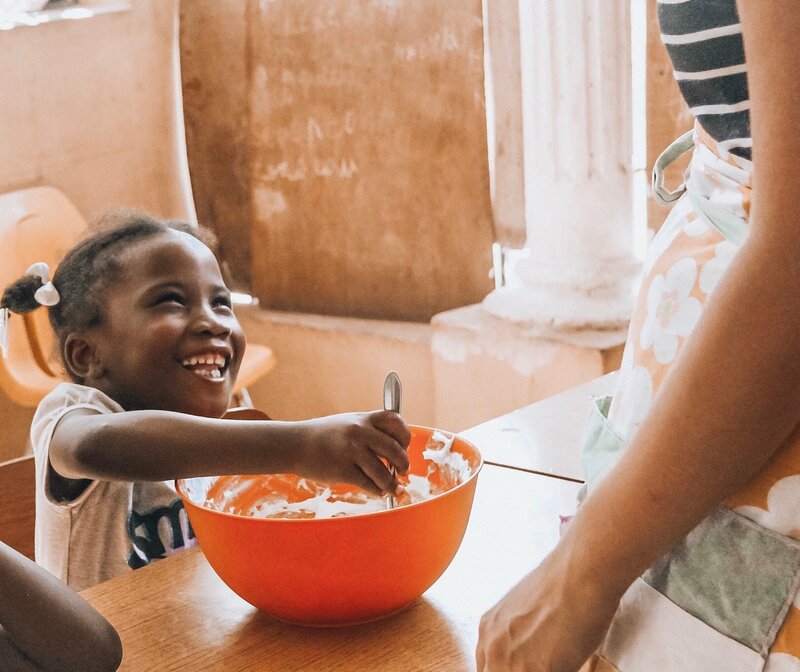 Volunteers are usually featuring what a typical day looks like, what the meals are like, info about vacations they are taking, things to pack (and not to pack), what the orphanage looks like — you know, all the things you want to know from their perspective. If you'd like to receive more information about volunteering in Haiti (or any of our other locations all over the world), drop your information below.